A collapsible soil is also known as loess. It is basically a clayey silt with a metastable structure. Collapsible soil shows high strength and stiffness at normal water content conditions. On the other hand upon wetting it suffers a sudden plastic deformation, i.e. collapse, which could be severe in some cases. This leads to serious engineering problems if not taken into consideration during the design phase. 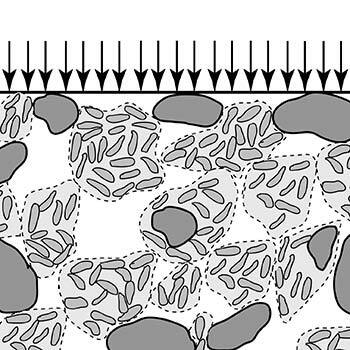 Conventional methods use empirical procedures to estimate the possible plastic deformations upon wetting. Empirical methods usually are limited in application because of their many simplifications and arbitrary assumptions. The Finite Element Method offers a powerful tool to tackle the problem of collapsible soil. When based on the sound theoretical ground of unsaturated soil mechanics and in combination with a suitable soil model that takes the so-called soil suction into account, more realistic scenarios and accurate solutions can be advised for this particular problem. WeSI Geotecnica has the knowledge and the numerical tools to deal with collapsible soils in engineering problems.